Jan. 1, 2019, is almost upon us, which means the National Electric Code (NEC) 2017 is almost in effect. Not all jurisdictions will be up to speed (hell, some aren’t even up on NEC 2014 yet), but around 24 states will require compliance immediately. 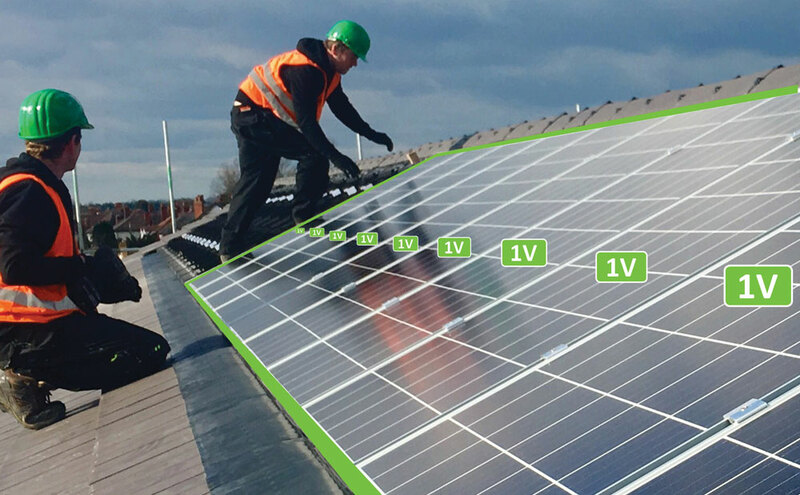 We asked a variety of manufacturers about their NEC 2017-ready products, how they work and any advice they have for solar installers to meet the new code. This section is from our Nov/Dec issue of Solar Builder magazine. Subscribe for free right here. PV system circuits installed on or in buildings shall include a rapid shutdown function to reduce shock hazard for emergency responders in accordance with 690.12(A) through (D). (A) Controlled Conductors. Requirements for controlled conductors shall apply to PV circuits supplied by the PV system. (B) Controlled Limits. The use of the term, array boundary, in this section is defined as 305 mm (1 ft) from the array in all directions. Controlled conductors outside the array boundary shall comply with 690.12(B)(1) and inside the array boundary shall comply with 690.12(B)(2). 1. Outside the Array Boundary. Controlled conductors located outside the boundary or more than 1 m (3 ft) from the point of entry inside a building shall be limited to not more than 30 volts within 30 seconds of rapid shutdown initiation. Voltage shall be measured between any two conductors and between any conductor and ground. (1) The PV array shall be listed or field labeled as a rapid shutdown PV array. Such a PV array shall be installed and used in accordance with the instructions included with the rapid shutdown PV array listing and labeling or field labeling. SolarEdge’s SafeDC technology is embedded in its DC optimized solution and as such meets NEC 2017 without any additional components. The existing PV system AC disconnect is used as the initiator. Whenever the inverter or grid is turned off (i.e. AC power), then the DC voltage and current fall below the NEC 2017 thresholds within 30 seconds — each power optimizer is responsible for lowering its output voltage to 1 volt during rapid shutdown activation. This happens both in and outside the array boundary. 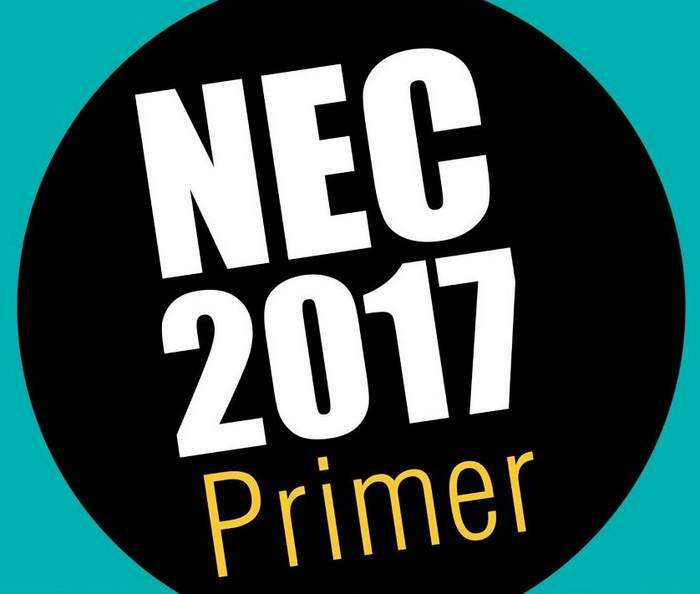 “New signs are required to inform emergency responders of the equipment meeting NEC 2017. NEC 2017 requires that equipment used as rapid shutdown devices be listed for rapid shutdown and evaluated according to stringent standards. Installers should check to ensure all equipment is properly listed. For example, inverters and combiners that are used inside or outside the array boundary as rapid shutdown devices must be listed for rapid shutdown in the event that they are used for that purpose,” says Lior Handelsman, founder, VP of marketing for SolarEdge. HellermannTyton offers a line of NEC 2017 code compliant labels that have been tested to actual real-world conditions for over seven years and through accelerated aging tests, which show the labels will survive decades of exposure [see example of one that did not on the right]. Because of the extensive testing of these solar-compliant labels, HellermannTyton offers a seven-year warranty on all adhesive labels that include the HT check mark and a 25-year warranty on any aluminum labels. “Many municipalities are very concerned about label life. In this age of OSHA and ANSI compliance, there is increased liability on installers and inspection services. If a label only remains visible for a few years, and if someone gets injured or killed in the process of interacting with the equipment, there can be substantial fines or costly litigation that can affect on-going business,” says Todd Fries, product category manager – identification for HellermannTyton. If you’re unfamiliar with the SunSpec Alliance, it’s time you became familiar. This trade alliance of more than 100 solar and storage stakeholders has been working on information standards for plug-and-play PV system interoperability, but its communication solution for meeting module-level power control and safety (rapid shutdown) with any panel and inverter combination might be its crowning achievement. Look for the logo to the left to find products certified to the SunSpec RSD Specification. Here’s a list of early adopter companies involved in the collaboration and rollout. 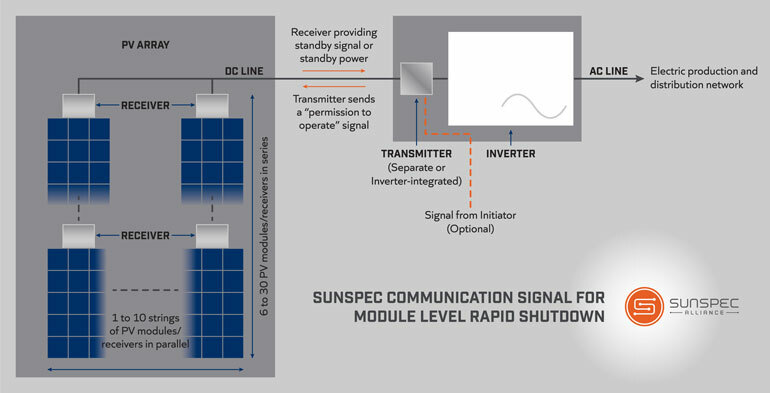 This is a diagram of how the SunSpec Communication signal for module-level rapid shutdown works. “It is important to know what the actual requirement is and then getting to code compliance in the simplest, most cost-effective way to not put extra financial burden on the customer. We believe that industry standards and innovation will drive down cost and allow customer choice,” says Richard Baldinger, head of marketing for Fronius. 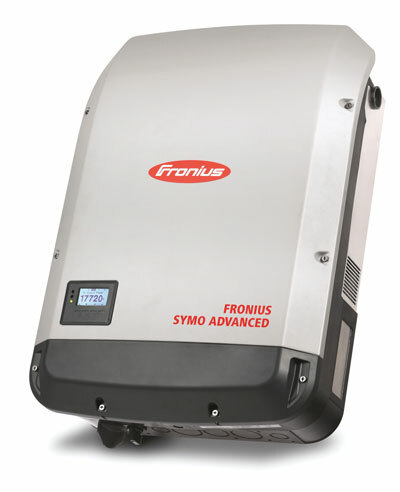 The Fronius Symo Advanced three-phase inverter combines the benefits of the Fronius Symo with the convenience of an open industry standard. Featuring 10 models ranging from 10 kW to 24 kW, the Fronius Symo Advanced meets NEC 2017 compliance in conjunction with the Tigo TS4-F cover via the integrated Power Line Communication (PLC) transmitter that uses the SunSpec communication signal for rapid shutdown. This eliminates the need for any additional communication hardware and provides the most cost-effective option for code compliance. 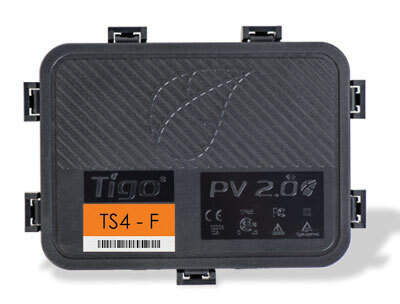 Tigo Energy’s TS4-F (Fire Safety) is a UL-certified multivendor rapid shutdown solution for commercial PV systems that complies with NEC 2017. 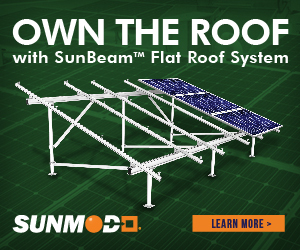 The TS4-R-F is a simple add-on that retrofits a regular standard solar module with a module-level rapid shutdown device and is compatible with the power line-based SunSpec communication signal for rapid shutdown. Using the existing DC wires between the inverter and module-level electronics as a communication channel significantly reduces installation time. Midnite Solar’s MNLSOB line, in both 600-volt and 1,000-volt models, utilize one transmitter and multiple receivers per system. 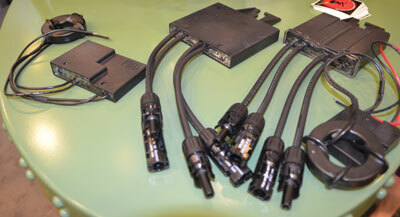 This product can be used for string or module-level shutdown by using one receiver per string or one per module. They plug directly into the MC4 connectors on your module and, because the MNLSOB transmitter induces a PLC signal into the PV Positive line, there is no additional or new wiring to be done between the transmitter and the receivers. Midnite Solar will be introducing a new SunSpec-compliant MNLSOB by January. “There are no additional design requirements to implement shutdown functionality. A designer can build a project for maximum energy harvest, optimal ROI, or with any other goal in mind and simply choose the most cost-effective MLPE to address his or her needs. 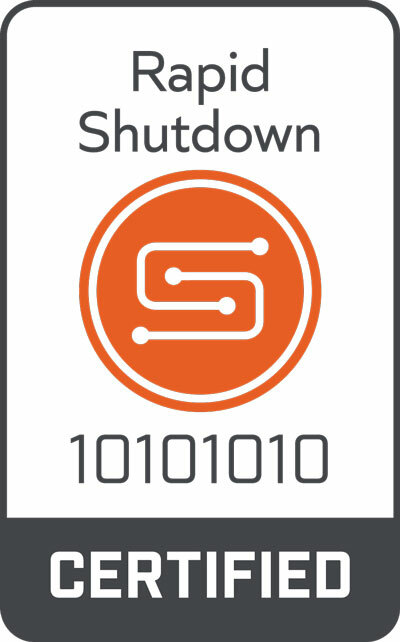 The shutdown functionality is built into these solutions and does not impact other project considerations. Installers should also be aware of the upcoming release of UL Standard 3741 as another way to comply with NEC 201 690.12 without requiring module-level shutdown by using equipment listed as ‘PV Hazard Control Arrays,’” says Brad Dore, director of marketing for SMA America. SMA’s Sunny Tripower CORE1 meets the shutdown requirements of NEC 690.12 when paired with a TS4-R-F module-level device. The inverter and MLPE retrofit unit operate on the new SunSpec Power Line Communication (PLC) signal for module-level rapid shutdown. This solution is the most cost-effective way to achieve module-level shutdown. The solution operates on a simple “stay alive” signal broadcast from the inverter over the existing DC wires. The TS4-R-F units will operate while AC power is present, and if AC power is cut via the AC disconnect, the MLPEs lose the “stay alive” signal and de-energize in accordance with code. Brilliant Rack racking systems feature mounting connections with serrated bolts that ensure the most effective metal-to-metal contact for proper bonding connections. 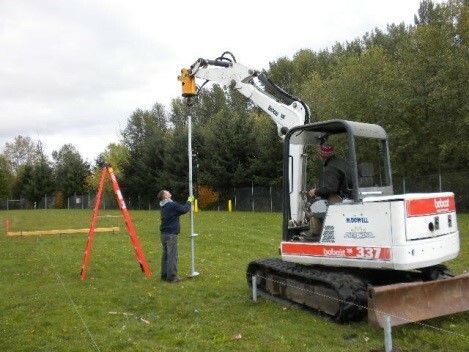 These connections are essential for dispersing any electrical charge, providing multiple pathways to soil in compliance with Section 250.92 B. This reduces the danger of equipment damage or human injury should the rack become electrically charged through equipment malfunction, human error or lightning strike. 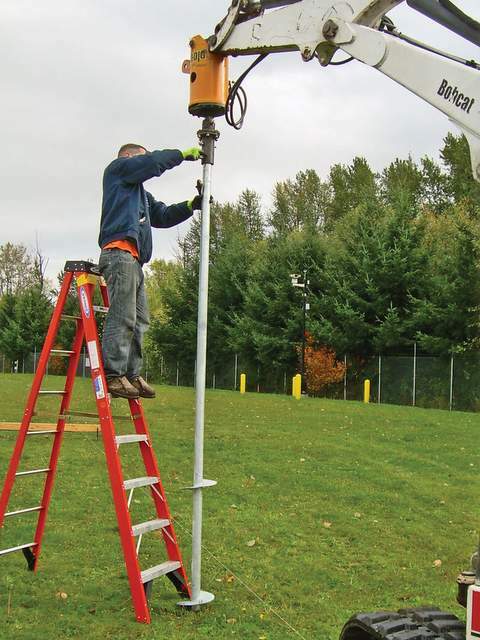 Independent testing has demonstrated Brilliant Rack systems are capable of dispersing higher currents through the system into soil, and that the serrated bolt and nut are likely to maintain this connection better over a long period of time than WEEB clips. SunModo’s ground lug, self-bonding clamps and self-bonding rail splices meet the requirements found in NEC 2017. 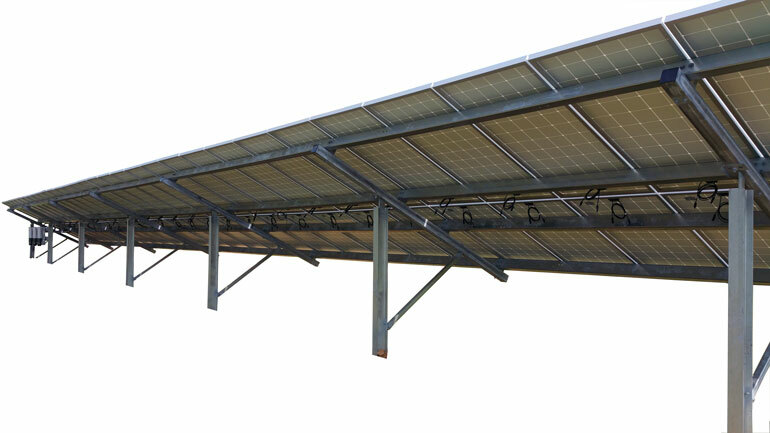 The basis of the self-bonding system is its patented stainless-steel floating bonding pin, which is designed to be captive in the mounting components and provides a bonding path from the PV panel frames to the rails and rail splices and finally to the ground lug. The Ground Lug is compliant with both UL 467 and the equipment grounding requirements 690.43. The self-bonding system is for use with PV modules that have a maximum series fuse rating of 30A. “The Rooftop Adder Table that has affected the ampacity calculations for conductors that are run at a specified distance above a rooftop has been deleted. This table generally hasn’t been well accepted by electrical personnel since its addition to the NEC several years ago. 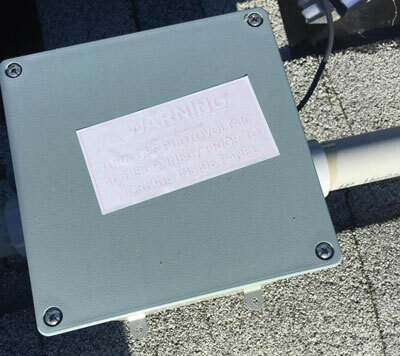 Because of the deletion, if raceways are kept at least 7/8 of an inch above the rooftop, there should no longer be a need for upsizing conductors and increasing costs,” says Randy Barnett, safety compliance professional for the NFPA. Quick Mount PV has two NEC 2017-ready products in its classic conduit mount and conduit mount for tile. When used in conjunction with a standard off-the-shelf conduit hanger, the conduit is raised in excess of the minimum 7/8-in. off the roof surface, which is new in NEC 2017. 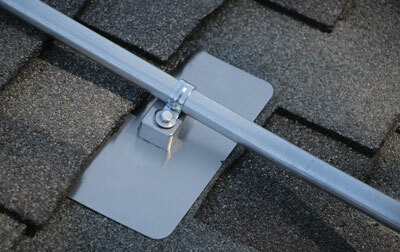 These mounts are designed to lift electrical conduit off the roof to protect wiring from overheating. These mounts use Quick Mount’s proprietary waterproofing technology to seal the roof penetrations, and aluminum and stainless steel parts are used to secure the electrical conduit for the life of the system. As a permanent part of the building and roof structure, the SunBeam system eliminates any abrasions, moss build up and need of system removal for roof repair or re-roofing. In addition, it provides shading of HVAC equipment, increasing efficiency and faster temperature response. Twenty-year warranty. Material: High-grade aluminum and 304 stainless steel hardware. Anchor-only attachment. How it maximizes energy density: The SunBeam system elevates above obstructions such as HVAC, pipes and vents. 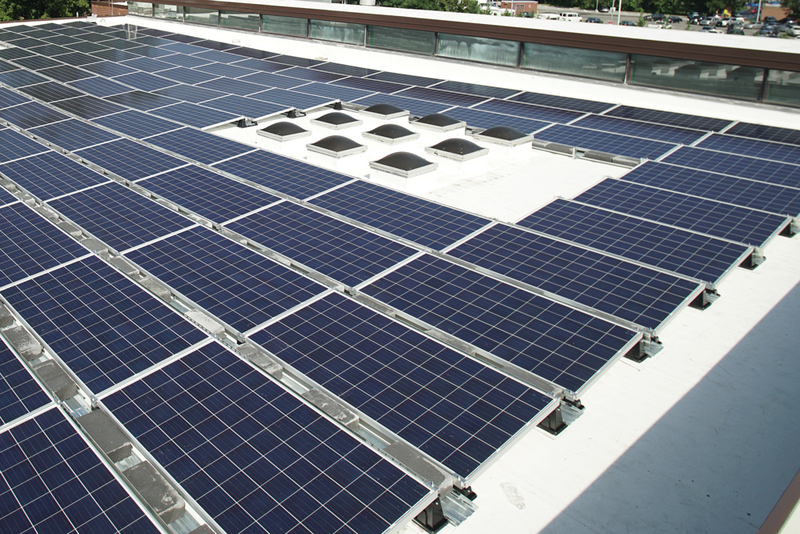 By spanning over roof obstructions such as HVAC, pipes and vents, the system takes full advantage of the available roof surface thereby maximizing the PV system size. The system can be easily adjusted to account for the multiple roof pitches on site. The D Dome R² system is an east/west commercial flat roof solution. The third generation of this product is now rail-less with only five major components and minimal hardware. It sits at a fixed 10-degree pitch and allows for 3.5-in. inter-row spacing. Twenty-year warranty. Material: Aluminum, ballast with attachment optional. The ballast blocks sit under the panels. How it maximizes energy density: Everest Solar Systems believes east/west systems are more efficient south of the tropic of cancer. First, an east/west system practically eliminates inter-row spacing which allows more modules on the roof, thus increasing module density. On one internal study, Everest compared a the production of a 10-degree south-facing system with its east/west system in southern California at different azimuths. The south-facing fit 88 modules and had a 14 percent decrease in at the 225-degree azimuth. The D Dome R² system reached 108 modules in the same space and had less than 0.1 percent change between all azimuth angles. SMS Racking consists of only three major parts that arrive with all hardware pre-inserted allowing for quick single tool installation. The THRU-ITT integrated wire management system allows wiring to remain organized and protected by running wires east-west and north-south internally. Since this racking design does not rely on the panel for integrity, installers can complete racking and wire installation independent of the panel. Twenty-year warranty. Material: G90 coated steel and optional galvanized steel, aluminum, powder-coated. Ballast only. How it maximizes energy density: SMS developed an Excel spreadsheet that determines the optimum row-to-row spacing based on the selected solar module, optimum tilt angle, solar azimuth angle, and the altitude angle all specific to install location. By optimizing the length of row-to-row spacers, the SMS system can greatly reduce the amount of redundant material, which in turn will reduce racking cost and avoid installing the modules in a high shadow region. The racks are designed with minimal distance between modules in the east/west direction to eliminate unused area. EcoFoot5D 5-Degree and EcoFoot2+ 10-Degree speed installation and simplify logistics for flat-roof installs. 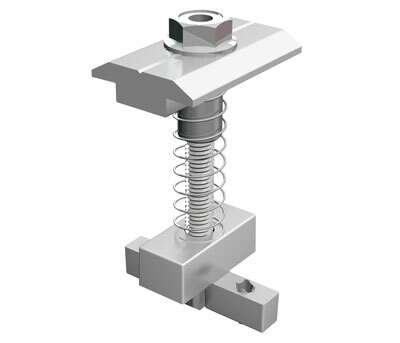 Main components are: a base, pre-assembled clamps (integrated bonding without washers) and a wind deflector. The system is black, ASA-PC, UL Listed Resin with a 25-year warranty mounted with ballast, attachments or a mix. How it maximizes energy density: EcoFoot5D 5-Degree delivers 18.4 percent more power than the 10-degree system and lowers cost per watt. The system maximizes roof density while maintaining the ease and simplicity of EcoFoot. The modular base is small at 7 in. x 16.7 in., and inter-row spacing is a dense 9.9 in., creating a tightly packed array. Stackable bases enable up to 290 kW per pallet, resulting in fewer pallets and minimized shipping, storage and onsite crane use. On commercial rooftops, design trends are all about maximizing energy density. Module selection is a huge factor there, but so are the layout and tilt decisions — figuring out the perfect shape and tilt to mount as many modules as possible without compromising their performance. Pairing the right racking system with a flat-roof space opens up a world of possible equations. 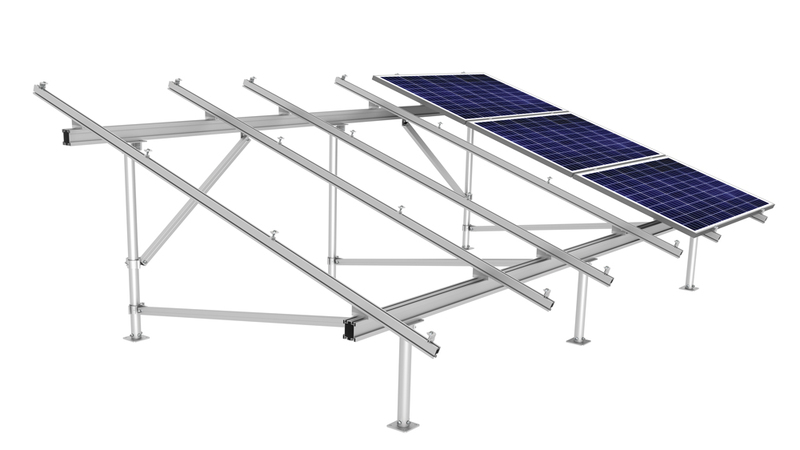 Use a racking system that will position the panels to maximize the energy output, which includes the tilt angle, inter-row spacing and the direction the panels will face. As always, geography matters. For one, the roof’s azimuth, or the direction the pitch faces. For a perfect south-facing system, the azimuth should be 180. But new systems are tweaking the traditional. East/west systems are becoming popular below the tropic of cancer. Designers are playing more with tilt angles, with the general trend moving toward 5-degree tilt — likely to reduce inter-row shading without compromising the number of modules used or resulting in too much soiling. But the tilt decision isn’t one-size-fits all. Everest Solar Systems notes tilt angle efficiency correlates to latitude — the higher the latitude often requires a higher tilt. The latitude in Hawaii, for instance, allows a system to be virtually flat, but there needs to be enough tilt to keep the rain from pooling and to keep dust off the modules. Brandon Gwinner, regional sales manager, SunModo, puts that minimum at a 4-degree tilt. There are also some wind/snow load considerations that can keep tilt below a certain height/tilt degree, as well as parapet walls and billowing of wind. The installer has to find the balance between production and engineering capabilities. 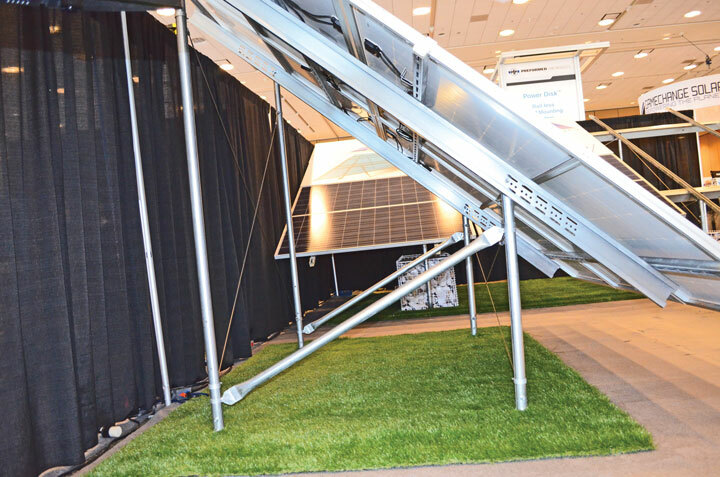 Also, installers looking to maximize production in summer months should consider using lower tilt angles than installers looking to maximize production in winter months. In snowy northern climates, Everest Solar recommends a 10-degree system tilt angle, which is better for shedding snow, plus the wider inter-row spacing allows more room for snow to land without piling up and casting a shadow or covering the modules. “If you can hit your power goal with a 10-degree system, then 10-degree would be the system of choice. If not, 5-degree racking can enable a successful system when 10-degree wouldn’t fit enough panels to generate enough power,” Coles said. Commercial installations have significantly more requirements than residential installations, so understanding jurisdictional requirements at the onset of the project will make the process go smoothly. Some states, like Oregon, do not require extra engineering when the tilt is under 18 in. on the back edge of the array, based on a prescriptive path. So, cost analysis vs. ease of permitting is a factor for tilt decisions too. Tilted PV panels cast shadows on the rows of modules behind them, necessitating a gap between rows to minimize the effects of production loss due to shadows cast on panels in anterior module rows. Here are a few ideas to mitigate the impact of this phenomenon on your PV installation via Peter Abou Chacra, engineering consultant, SunModo. Reduce the tilt of your south-facing array. For peak energy production on a per-module basis, PV modules have an ideal incident angle with solar rays emanating from the sun. For some installations, however, it may make sense to reduce the tilt of the modules to a less optimal incident angle. Though this means less production on a per module-basis, it can mean a significant increase in the daily unshaded collection time for the array. This gain in effective collection time can offset the losses caused by a sub-optimal tilt for the module itself. Using software dedicated to modeling and analyzing a system’s performance at a different tilt angle and inter-row spacing should figure out the best path. 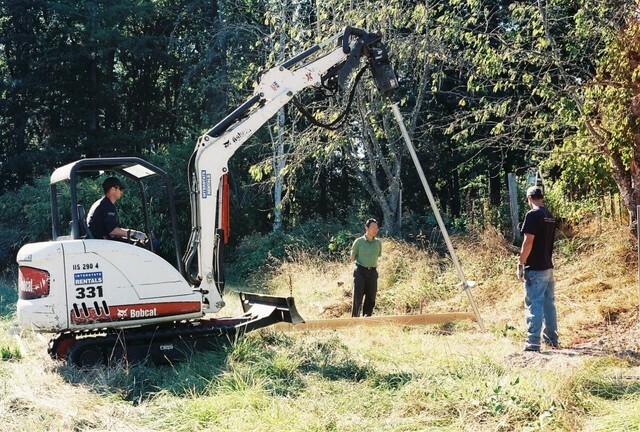 Locate your system on a south-facing slope. Even a five-degree inclination can have a marked impact on the amount of inter-row spacing required. This can significantly increase the number of modules you can fit in a given area. Consider 3-in-landscape or 4-in-landscape monoslope installations. Coupled with a low tilt, this strategy can reduce inter-row spacing significantly on a given installation since modules on the same structure and slope don’t require significant spacing between them. This can be particularly effective if you can gradually elevate the anterior monoslope PV structures as you work your way north through the site.